Pocahontas Island, a place you probably have never been, is just chilling in Petersburg, being a hotbed of historical significance. Maat Free is genealogically connected to it, and will lead us on a multi-part series. 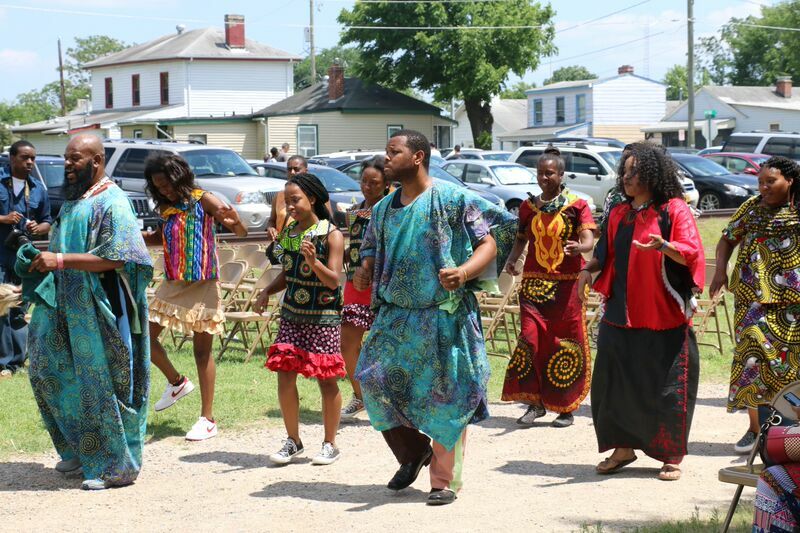 This weekend, the Island celebrated Juneteenth. Richmond and Petersburg went all out this year for the 150th Anniversary of the end of the Civil War. During the first week of April 2015, the climactic apex of five years of Emancipation Day programming brought with it a flurry of spirited observances in both cities. Last week marked the anniversary of America’s final enslaved Africans being notified that they’d been made free. Unfortunately, they had to wait two additional months after the War was over before receiving the news on June 19th 1865, as they toiled obliviously on remote plantations in Texas. That day became known as Juneteenth, and has been celebrated for generations as a Black Freedom day by communities of color all over the United States. 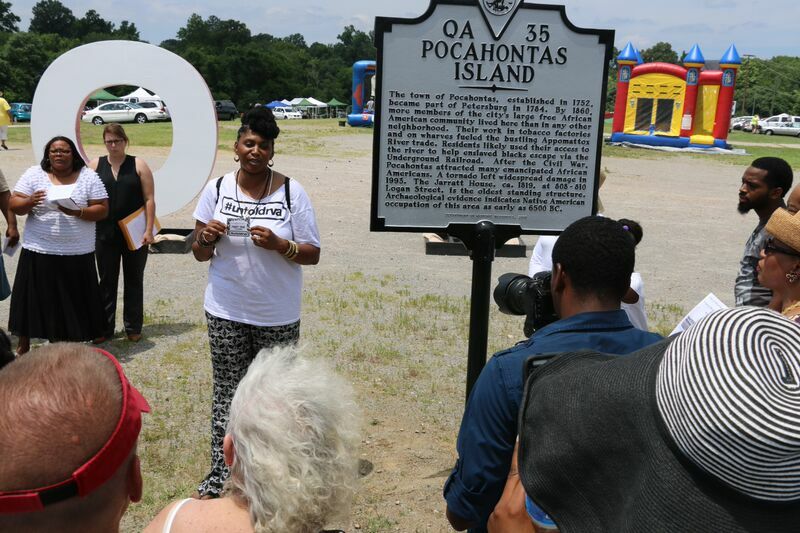 Petersburg chose the perfect place to host their second annual Juneteenth celebration: Pocahontas Island. It’s practically off grid; unless someone told you, there’d be no reason to even know Pocahontas Island existed. Interestingly, the history of this place is probably more significant to the continuing path to Black Freedom than any other place in the whole state of Virginia. Floating in the middle of the Appomattox river with the most beautiful views of the banks of Old Towne, Pocahontas was named hundreds of years ago for Chief Powhatan’s youngest daughter. Pocahontas Island is old, old land with an old, old history. Archaeological evidence dates back to 6,500 B.C. but many of the people living there now are rooted to that land in a different way. It is my pleasure to reveal to our readers that Pocahontas Island is actually the oldest free Black community in America. Hundreds of African-descended freedmen lived here as an insular community in the 18th and 19th century. What’s even greater than that is the fact that countless Black people were successfully escaping to the North from at least two homes on the island, as my research has revealed and as obscure documents have also confirmed. RVANews has been so generous to provide space for me to expand on this fascinating story, which actually intersects with my own journey to follow my family’s roots as far back as I can. 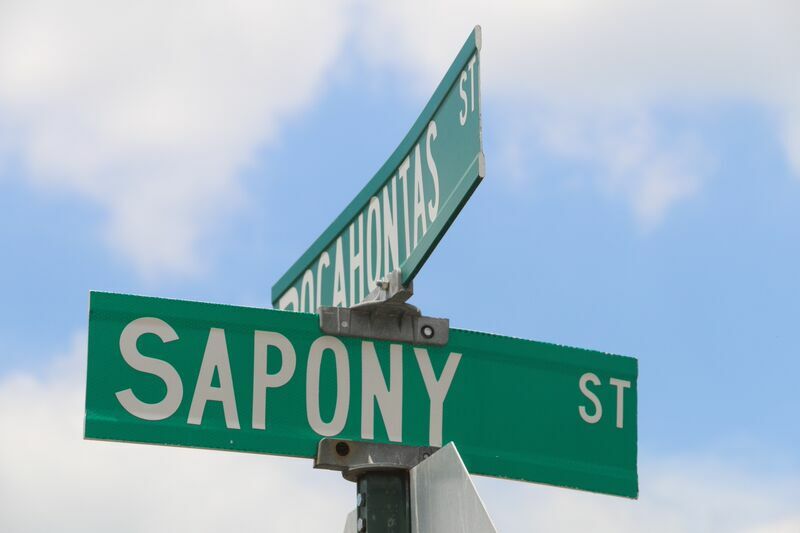 Two years ago, my voracious genealogical sleuthing actually led me to Pocahontas Island’s Sapony Street, the exact location where we just unveiled the new historical marker last Sunday. It all went down no more than a few steps from where my triple-great-grandparents lived. They’d bravely fled the plantation that had once enslaved them in Brunswick County, Virginia and settled on Pocahontas Island. The more I dug, the story grew even more incredible after that. How exciting it is to open up the hidden history of Pocahontas and uncover details about two verified stops on the Underground Railroad. I successfully nominated both locations for inclusion in the Preservation Virginia Endangered Site list of 2014. Follow this organic journey over the next several months. It’s unfolding in real time. Exciting things are happening over there on the island, every single day now. It’s my goal to keep you updated monthly with highlights and achievements and exclusive glimpses into a never-before process of empowering this space as a catalyst for those who seek a connection to this historically liberated land. 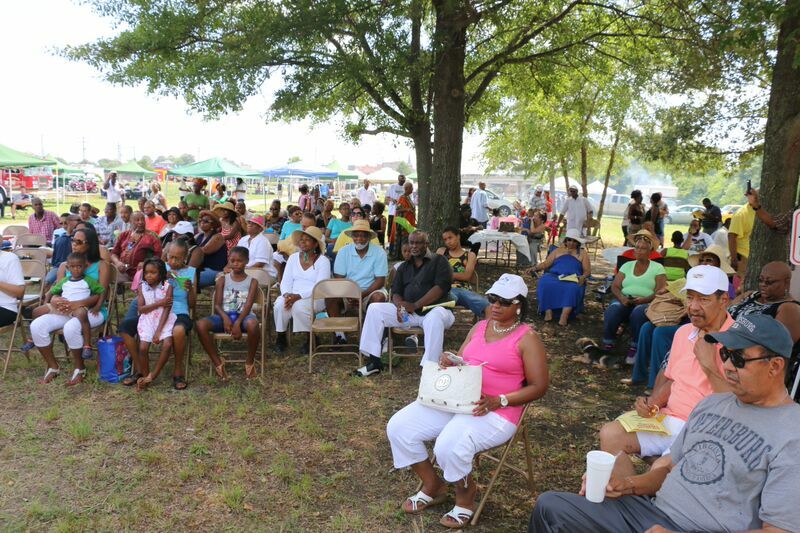 Check out the photos from Sunday’s Juneteenth on Pocahontas Island. I actually had everyone with their fist in the air hollering “FREEDOM!” and squeezing their melanin for Black Power, even if all they had was the teensiest little freckle to speak of. We came together, Black and White alike, to celebrate passionately that day. I can’t wait to see where this all leads. Stay tuned. We’re going somewhere no one’s ever gone before. Let’s do this. Free wants you to know that when she says dope, she does not mean drugs and when she says ill, she’s actually feeling just fine.